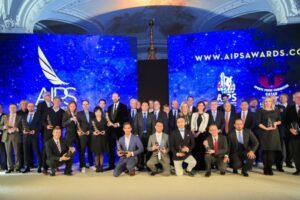 Lausanne, January 22, 2019– On Monday night at the beautiful Beau-Rivage Palace amongst a crowd of significant sports figures such as International Olympic Committee President, Thomas Bach, 24 finalists received awards throughout 8 different categories at the inaugural AIPS Sports Media Awards. Marca journalist José Ignacio Pérez received the first prize for Best Colour Piece for his reportage about Football in Auschwitz. Igor Rabiner won the other writing category, Best Column. Video documentary went for Emanuela Audisio (Mexico 1968) and Athlete Profile for The People’s Fighters, a film about Teófilo Stevenson and Cuban boxing. After narrowing down 1,273 submissions from 119 countries worldwide, an eleven-member jury and the president determined the winners of each category. 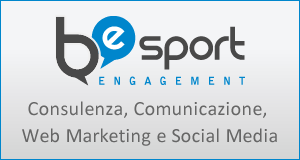 Each award winner received a trophy and first place received prize money of USD $8.000, second place received USD $3.000, and third place received USD $2.000. One very special moment during the ceremony occurred when Ghanaian journalist Anas Armeyaw Anas was acknowledged by AIPS President Gianni Merlo with an award for investigative reporting. He entered the stage and asked for a minute of silence as he dedicated his award to Ahmed Hussein-Suale, part of his investigative team, who was recently killed after telling stories of football corruption in Ghana. For more information on the AIPS Sports Media Awards and future dates regarding submissions, you can visit the website at https://www.aipsawards.com/awards and subscribe to the newsletter.